You're probably familiar with the labyrinth game that challenges you to move a steel ball through a wooden maze that has holes to avoid. 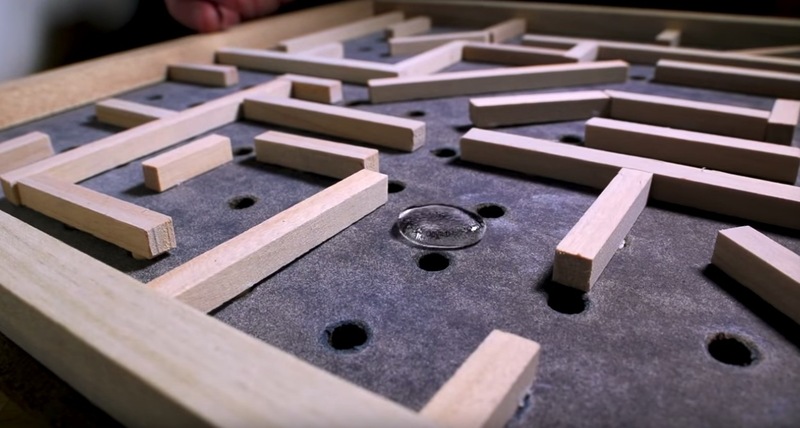 This guy made a similar maze, but instead of a marble, he used a drop of water and rolled it across a surface coated in hydrophobic paint. 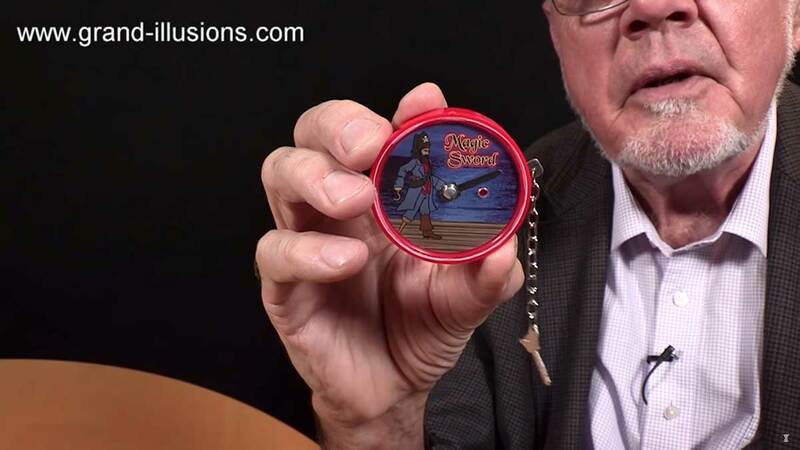 Tim of Grand Illusions demonstrates a neat little trick, called the Magic Sword, in which a piece of solid metal seems to pass through another piece of metal. This marble run is at a playground called Monkey Town in the Netherlands. 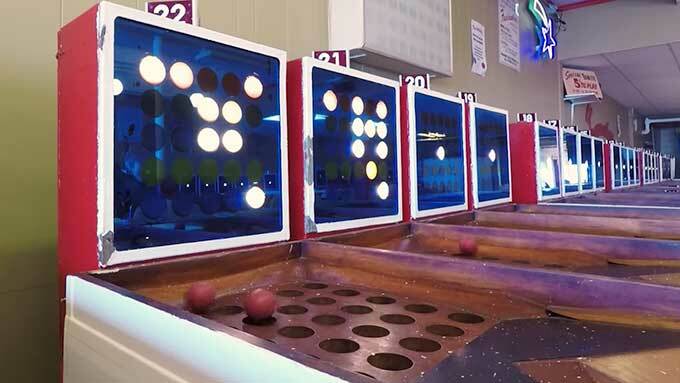 The creator says it has "4 tipping containers which can release up to 10,000 marbles in one go! 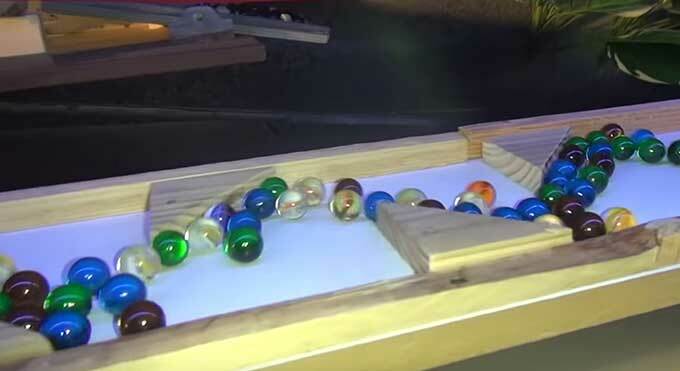 If the biggest 2 containers (with 1000 and 10,000 marbles) are tipping at the same time, it creates a flood of 11,000 marbles!" 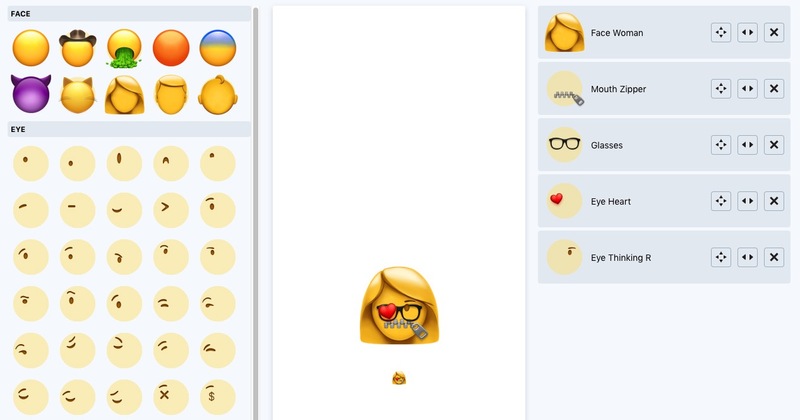 This website lets you make your own emojis. "crying cat face with tongue hanging out and money eyes" -- For those times your cat eats your $800/ounce Loud Dream strain, thinking it's catnip. "vomiting confounded skeptical face" -- When Trump says the election was rigged. "angry happy face with cowboy hat and wavy mouth" -- When you find out you've run out of Skoal, but you have been planning to quit smokeless tobacco anyway. This lobster, dubbed Calvin, was headed for the dinner plate—by way of a pot of boiling water—only to be saved because he looked nifty. 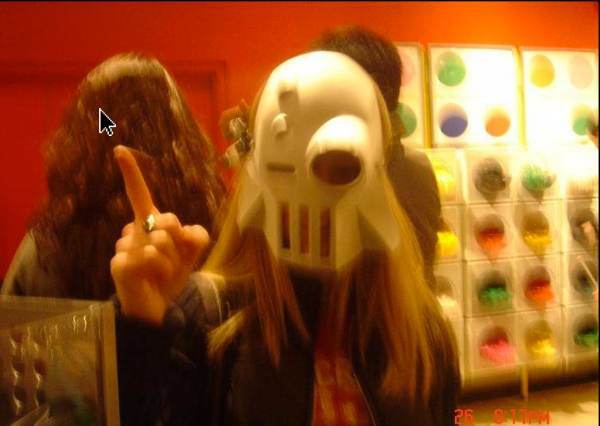 Ahhh, the capricious nature of humans. 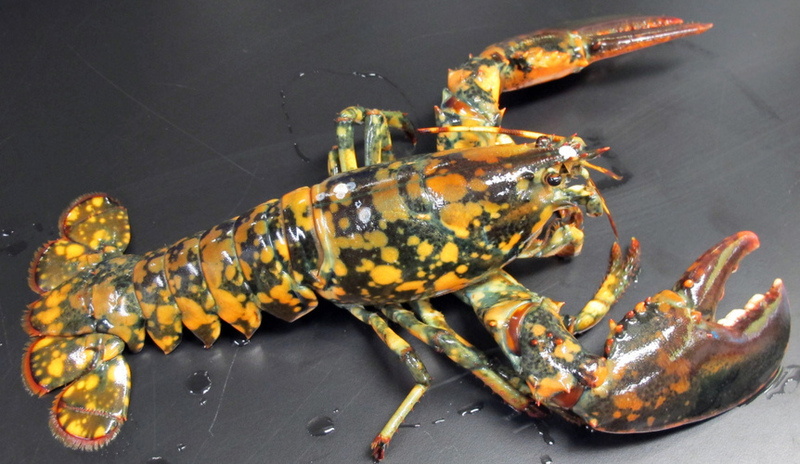 According to an NPR story, this spotted pattern isn't even the most unusual lobster coloration out there. White lobsters are even more rare. They can also, apparently, come in a sort of Miller Lite-can blue. ... Gérard de Nerval, the French artist who famously kept a pet lobster, which he named Thibault. He reportedly walked the crustacean in the gardens of the Palais-Royal, on a leash. And he gave a convincing explanation for his choice in non-human companions. "I have affection for lobsters," Nerval said. "They are tranquil, serious and they know the secrets of the sea." NPR can point you toward a Harper's article that offers evidence for Thibault's actual existence. I will say this: As a former employee of Red Lobster, the leashed lobster story sounds entirely believable to me. 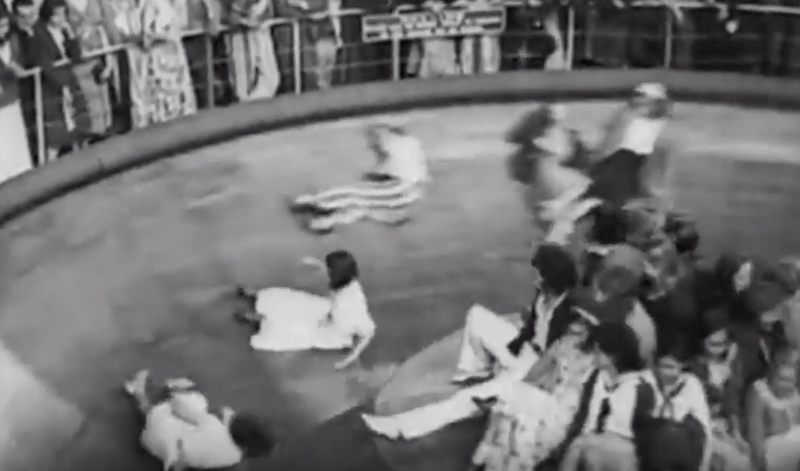 I have personal experience racing lobsters and teaching them to stand on their heads.